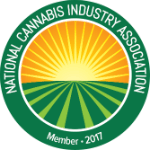 Created to provide helpful information about the Nevada Cannabis Industry. How can I obtain a Nevada Medical Marijuana Card? Residents can apply for a medical marijuana card using the state’s online portal here. The Division of Public and Behavioral Health had a brief application window in 2014 and accepted 519 applications for medical marijuana establishments (MME). If the state should allow more applications and intends to distribute more cannabis business licenses, we will update information here. You can see the 2014 application here. Can Nevada dispensaries sell medical marijuana to out-of-state medical marijuana patients? Yes – Nevada allows dispensaries to sell medical marijuana to registered medical marijuana patients from the following states; ALASKA, ARIZONA, CALIFORNIA, COLORADO, CONNECTICUT, DISTRICT OF COLUMBIA, DELAWARE, HAWAII, ILLINOIS, MAINE, MARYLAND, MASSACHUSETTS, MICHIGAN, MINNESOTA, MONTANA, NEW HAMPSHIRE, NEW JERSEY, NEW YORK, NEW MEXICO, OHIO, OREGON, PENNSYLVANIA, RHODE ISLAND, VERMONT, WASHINGTON. In order to purchase medical marijuana with an out-of-state medical marijuana card, you must have the card and an ID present. Click here to see a list of actively operating medical marijuana dispensaries in Nevada. The Division of Public and Behavioral Health had a brief application window in 2014 and accepted 519 applications for medical marijuana establishments (MME). If the state should allow more applications and intends to distribute more cannabis business licenses, we will update information here. You can see the 2014 application here. In Nevada, cannabis processing facilities are a combined part of production (cultivation) facilities. The vertical is integrated and all licensed cultivators/producers may also act as licensed cannabis processors/manufacturers. The state’s medical marijuana program is operated by the Department of Public and Behavioral Health. In Nevada, dispensaries, cultivation facilities and laboratories are commonly referred to as Medical Marijuana Establishments or MME’s. NEVADA SUCCESS STARTS WITH CONTACTING US!